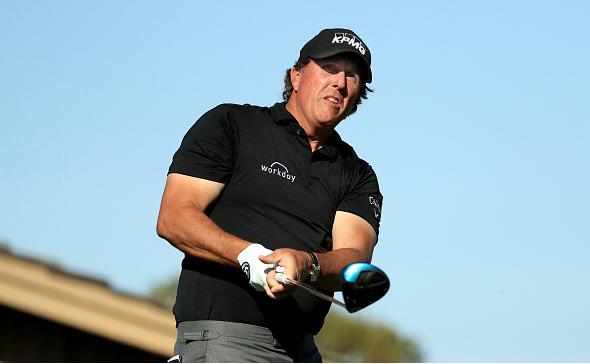 Phil Mickelson strung together six birdies on his outward nine to turn at 6-under par 30. Mickelson made birdies on Nos. 1, 3, 4, 5, 7, and 8. The 47-year old is off to one of his best seasons in recent memory with a win in Mexico highlighting five top-6 finishes. Mickelson is no stranger to low scores at the Golf Club of Houston as he shares the 18-hole course record at 9-under 63 (third round, 2011).